For teams or organizations who wish to do their team building programs not too far away from the city, one good venue to consider is the Mountain View Nature Park in sitio Garaje, barangay Busay, Cebu City, Central Visayas, Philippines. High up in the mountains of Cebu City, Mountain View Nature Park is just a 30-minute drive from JY Square Mall in Lahug, Cebu City, Philippines. Nearby are places that are fast becoming places of interest within the city such as the Temple of Leah and Lantaw Restaurant - Busay. Public transportation is not regular at Mountain View Nature Park. This means that because it may be inaccessible to many commuters, not too many people actually come here providing a great degree of exlusion and privacy for those who actually come here. Plus the activity areas and function halls within the park is too spread out, making it an ideal events place. Since Mountain View Nature Park is not too far away from the city, everything is within reach. Plus they have facilities that ensure the basic needs of park visitors are taken cared of. They have a canteen, a full-service restaurant, several cottages, ample parking spaces, and hotel rooms. Within Mountain View Nature Park are numerous open-air function halls. These halls can hold up to 100 persons and can be rented starting at a rate of PhP 1,000 for the first five hours. While these halls are not air conditioned, heat will not be a problem as the park itself is a patch of green high up in the breezy mountains of Cebu City. While the ropes course facility at Mountain View Nature Park is made for recreation, the creative team building facilitators from Cebu Teambuilding Services can make good use of this facility to create team building programs built around a ropes course. Fee to use the ropes course is only PhP 150 per person. Admission to Mountain View Nature Park is only PhP 50 per person. To gain entry into the pool area costs only PhP 100 per person. And rental for function halls starts at PhP 1,000 only. 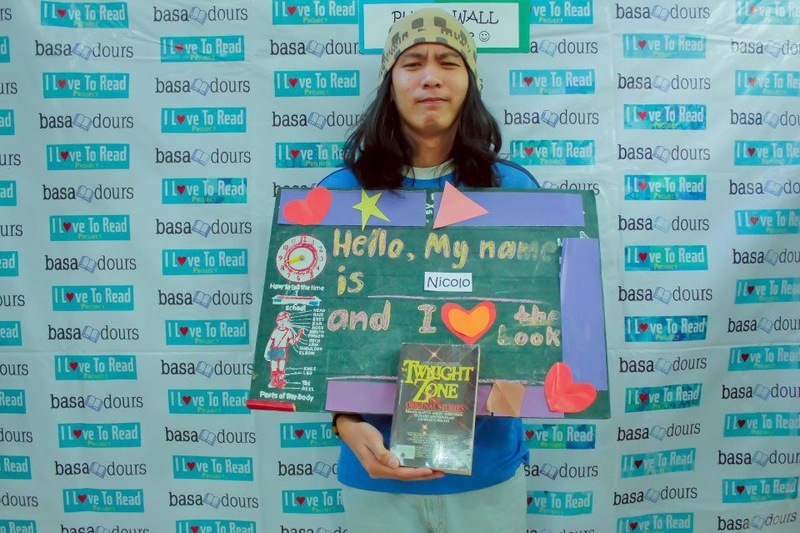 Nicolo Nasol is a team building facilitator based in Cebu City, Philippines and is currently the Corporate Communications Officer for Cebu Teambuilding Facilitators Network. 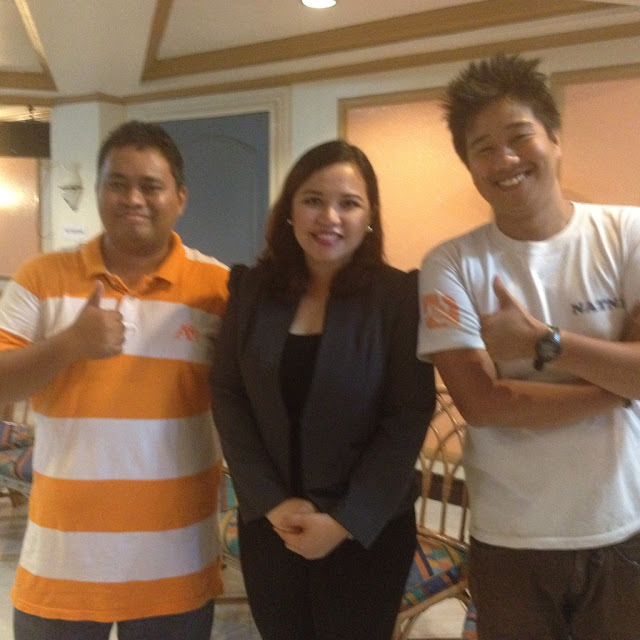 He is an affiliate team development consultant at Cebu Teambuilding Services since 2012. An FC alumni facilitator, he was the general co-facilitator of the 18th batch of the Facilitators' Circle. Nicolo is also active in community work as a volunteer of Basadours, a group of volunteer ambassadors who reads to children. Other than that, he also writes for the local SunStar Cebu daily and is an accomplished literary writer. Cebu-based organizations need not spend too much when they want to spend their summer outing or team building event in Bohol's famed Panglao Island. Continue reading to find out how to hold team building and summer team bonding activities for your team in Bohol without spending a huge amount. The first step in creating a meaningful team building program for your organization in Bohol, make sure that professional team development consultants facilitate the activities for your team. Cebu Teambuilding Services specializes in developing, implementing, and evaluating team building programs for organizations in Cebu and elsewhere in the Philippines. To request for a proposal and quotation from Cebu Teambuilding Services, PLEASE CLICK HERE. A key component in making sure that your organization does not spend too much is saving on hotel costs. The way to do this is to take a late night ferry from Cebu City to Tagbilaran City. This way, instead of paying for a hotel, you and your colleagues can sleep in the boat as it travels from Cebu to Bohol. M/V Lite Ferry 10 of the Lite Shipping Corporation departs daily for the port of Tagbilaran City from the port of Cebu City at 10:00 p.m. Travel time takes five (5) hours and the vessel is expected to arrive at Tagbilaran City at 3:00 a.m. the next day. Since 3:00 a.m. is too early, you and your colleagues can get some more sleep at the boat while waiting for sunrise. Prior to arriving in Bohol, you must already arrange transfers from the Tagbilaran City port to Dumaluan Beach Resort 1. This should cost somewhere around PhP 800 to PhP 1,500 per van that can accommodate between ten (10) to eighteen (18) people. There are a lot of van service providers in Bohol and one (1) provider we can recommend is JMJ Transport. Their website is jmj-transport.com and they are based out of Tagbilaran City. For the return trip, the same LSC vessel leaves from Tagbilaran City at 10:30 p.m. daily and is expected to arrive in Cebu City at 3:30 a.m. Alternatively, M/V Lite Ferry 1 leaves daily from Tubigon town at 12:00 midnight and arrives in Cebu City at 2:30 a.m. Van fare from Tagbilaran City to Tubigon town is PhP 150 and travel takes a little over an hour. Instead of waiting for the boat to leave, your team can have dinner at Abi's Seafood and Grill along C.P. Garcia North Avenue at barangay Cogon, Tagbilaran City (fronting Bohol Island State University). Abi's serves a dinner buffet from 5:00 to 9:00 p.m. at an affordable cost of only PhP 250 per person. While a lot of the beaches in Panglao Island charge PhP 100 or more as entrance fees, there is one resort in Panglao town that only charges PhP 25 per person for admission into the resort. This resort is the Dumaluan Beach Resort 1at sitio Sapa, barangay Bolod, Panglao town, Bohol, Philippines. Fronting Dumaluan Beach Resort 1 is the beautiful White Beach. 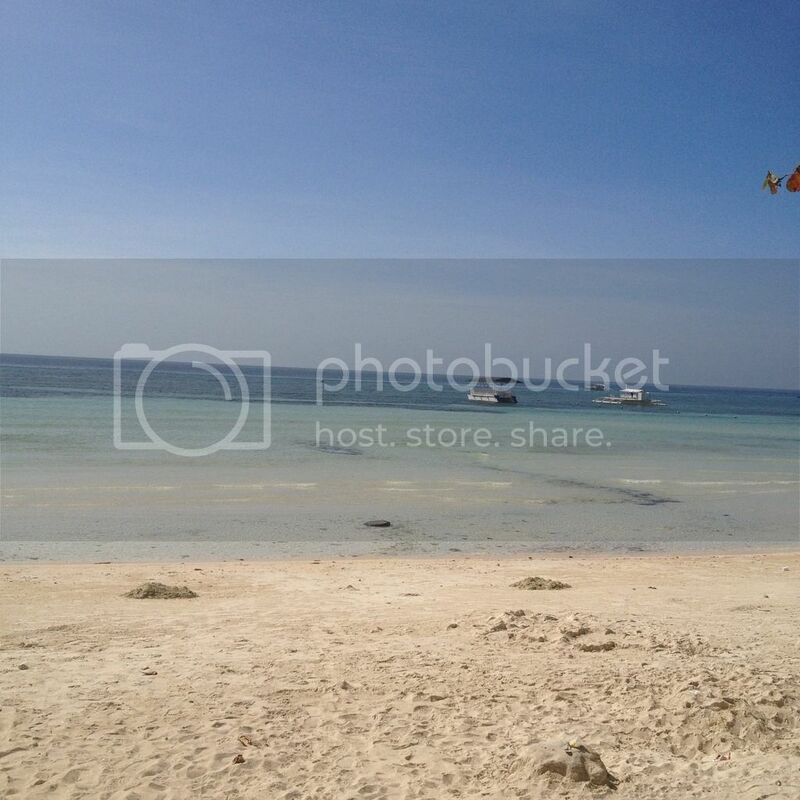 White Beach is lesser known compared to Alona Beach in barangay Tawala. Compared to Alona Beach, White Beach has a lot less establishments, a lot less people, and a lot more laid back. The white sand cover at White Beach is also way finer. Because of the laid back atmosphere at White Beach, it becomes an ideal venue for team building activities in Panglao island. Upon arriving at Dumaluan Beach Resort 1, your team may have breakfast at the DBR Grill. They serve a la carte breakfast meals for as low as PhP 60.00 per serving. Buffet meals are also available for large groups starting at PhP 200.00 per person. As an alternative, food may also be ordered through the Green DasH food delivery service. Green DasH delivers food to you from restaurants around the Metro Tagbilaran area. They may be reached through mobile numbers 0922 543 8160 (Sun Cellular) or 0997 1116800 (Globe). One recommendation I would like to make is to order breakfast from Jojie's Painitang Bol-anon. Order either vegetable lumpia, piniritong inun-unang tulingan, kosahos baboy, kosahos baka, and chinorizo. Jojie's also sells delicious kakanin such as cassava cake, dinumugan, and biko dukot. Cebu Teambuilding Services have conducted several team building programs at White Beach and we attest this is one of the best venues for team building activities in Panglao island. Let your team experience Bohol, CONTACT US NOW to arrange your team building program in Bohol. One of the core values of Cebu Teambuilding Services is the thirst for lifelong learning. Facilitators affiliated with the organization are expected to be students for life. Staying true to tradition, Cebu Teambuilding Services founding father Thadz Engaling and long time affiliate Nathaniel John Arong joins Coach Angelica "Angge" Hermentera as she conducts a free for the public session on Work Attitude and Values Enhancement. The sessions were done at a decent function room at the Elegant Circle Inn near the Fuente Osmeña Circle in midtown Cebu City, Philippines. There were about 15 other participants coming from varying backgrounds: students, sales and marketing professionals, trainers, and hospitality industry professionals. Coach Angge as she is fondly called is the head consultant and trainer at Stellar Performance and Training Consultancy (SPTC). SPTC is a Cebu City-based training and consultancy firm. They focus on human resources consulting. She is also an advocate of anti-bullying and does anti-bullying talks around the city. Specially in schools and work places. Prior to setting up SPTC, she had a wonderful training career in the hospitality industry. The seminar was structured more like a short Lenten retreat. It involved quite a number of reflection exercises. There were also interactive group discussions. Participants were given the opportunity to converse with new acquaintances and share a bit of their life stories. Most importantly, there were paper exercises that called for some deeper self-introspection. It was aimed at creating higher levels of self-awareness. That shall lead to higher self-confidence and eventually a resolve to take personal action for one's own good. Cebu Teambuilding Services would like to extend it's sincere gratitude to Coach Angge for allowing us to participate in the sessions. It was a wonderful learning experience.